Wild dogs are a major problem for many livestock producers across Australia. Often, wild dog control has necessarily been reactive and expensive, with landholders and contractors effectively forced to ‘chase’ dogs after livestock have been maimed and killed. In chronic cases this can go on for weeks, months or even years, taking a heavy toll on enterprises, families and communities. Tracking studies show that wild dogs may be present on farms for days or weeks before losses occur. Wild Dog Alert is a system that could firmly place livestock producers and other land managers on the front foot to manage wild dogs. Combining automated recognition of camera trap images with real-time messaging, the Wild Dog Alert system could have an ability notify producers that wild dogs have invaded their farm before attacks occur to enable producers to act early. 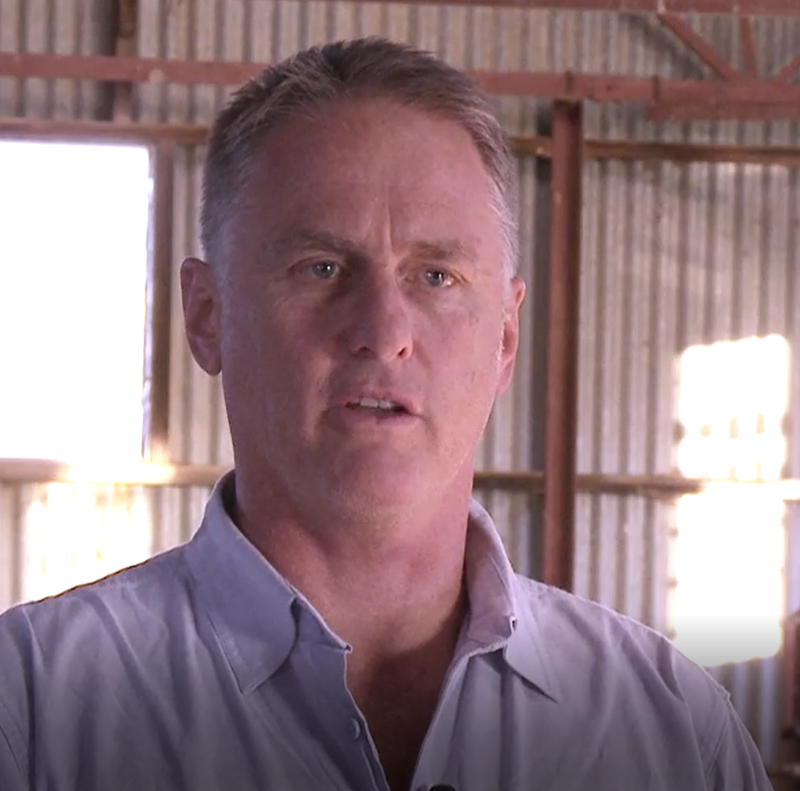 This will give farmers a ‘first strike’ capability in their fight against wild dogs, so they can be proactive and put in place immediate and targeted management strategies to avoid stock losses. Evaluate efficacy of the device by comparing the occurrence and movements of radio tagged wild dogs in relation to the detection foot print of the device. Focus on the development of a marketable wild dog alert product. The research need is to develop, integrate and field test the components of an early alert system. Extensive stakeholder consultation has identified an early warning system for wild dogs as the priority required to prevent predation on sheep in rangeland and tablelands environments. Paul completed his under-graduate Degree at Roseworthy in SA, a Master’s Degree on the biology and ecology of foxes, free-roaming dogs and cats in Jervis Bay at University Canberra and completed his PhD at the University of New England on camera trapping. He was awarded the Chancellors Post-Doctoral Research Award for his PhD research. Paul has been working in the ecology field for over 30 years in positions throughout Australia and has been fortunate to work overseas, including 3 years on Christmas Island. He is currently working for NSW Dept Primary Industries in the Invasive Plant and Animal Unit; he is a research collaborator of the Vertebrate Pest Research Unit and CISS, and an Adjunct Lecturer with the University of New England. Primary work roles are developing policy framework for pest management that integrate new research findings into control and monitoring. He also contributes to research that benefits pest management and impact monitoring, conducting training and working with all pest agencies throughout Australia to develop best practice. Paul is Project Leader for the Wild Dog Alert and e-Hub Intelli Trap Projects. Areas of expertise include, camera trapping, predator trapping, small mammal trapping, radio tracking, fox, wild dog and feral cat ecology, Hastings River Mouse and Christmas Island shrew ecology. Paul was awarded a Churchill Fellowship in 2011 investigating the use of camera traps in wildlife research and monitoring. An algorithm has been developed which can identify dingoes and wild dogs with 95%+ accuracy. Algorithms have been developed to screen commonly encountered animals on farm environments (kangaroos, cattle). Satellite signal reception has proven to be impressive across the landscapes tested. However, as expected signal transmission in 100% rainforest canopy cover is problematic and further tests are planned with antenna modifications to assess limitations.